What Piper Perabo Can’t Live WithoutIncluding a pocket-sized copy of the United States Constitution and heirloom wildflower seeds. What the Sakara Life Co-Founders Can’t Live WithoutIncluding a leopard-print duster, an infrared blanket, and dental floss. What Condé Nast Traveler Editor Melinda Stevens Brings in Her Carry-onFrom her favorite track pants to a cashmere collar. What Brian Kelly (a.k.a. The Points Guy) Brings in His Carry-onFrom bathroom slides to his favorite travel pants. What Ryan Seacrest Can’t Live WithoutIncluding no-show socks, a temperature-controlling mug, and the drugstore cologne he’s worn for years. 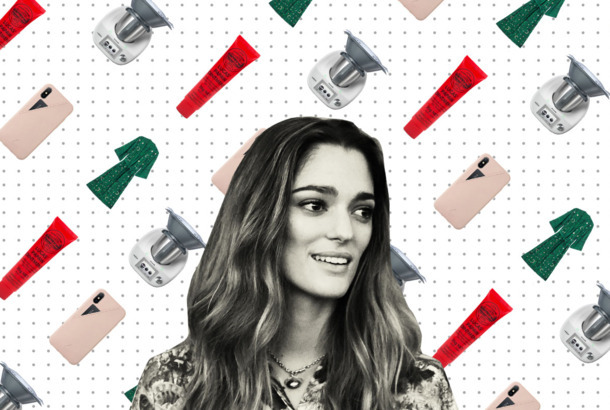 What Sofía Sanchez de Betak Can’t Live WithoutThe fashion consultant shares her favorite moisturizer, carry-on, and jeans. What Glenn Howerton Can’t Live WithoutIncluding two types of gluten-free chips, a snot-clearing nasal spray, and a lifesaving lip balm. Something Special Is Happening for the Holidays at the StrategistThere’s no doubt you have plenty of holiday parties on your calendar, but we’re inviting you to one more. Gift Card Sweep: How Ludo Lefebvre Would Spend $500 at Williams SonomaSpoiler: He went over the limit.